Valued partners of State Theatre New Jersey are cordially invited to the Partners’ Breakfast on Wednesday, July 27, 2016 from 8am to 9:45pm. Featured panelists on “Arts Partnerships: Building Better Communities Together" include: Ronald G. Rios (Middlesex County Freeholder Director), Etta Denk (Senior Vice President & NJ Market Manager, Bank of America), Bill Engel (President, The Hyde & Watson Foundation), and Susan Stucker (Interim President & CEO, New Jersey Symphony Orchestra). State Theatre New Jersey President & CEO, Tom Carto, will serve as the moderator. The distinguished panelists will discuss how various partnerships with arts organizations enhance the quality of life in the community, the region, and the state. Discussions will also include how businesses, foundations, and governments benefit from collaborating with and supporting the arts. The schedule of events for the morning includes continental breakfast and networking (8:00am – 8:30am); and remarks, panel discussion, and Q&A (8:30am – 9:30am), with the event concluding at 9:45am. The Partners’ Breakfast will be held in The State’s 2nd floor Heldrich Room, located at 15 Livingston Avenue, New Brunswick, NJ 08901. For directions and parking information, please visit the Directions and Parking Page under Your Visit. RSVP to May Van Norman at 732-247-7200, ext. 514 or mvannorman@StateTheatreNJ.org. 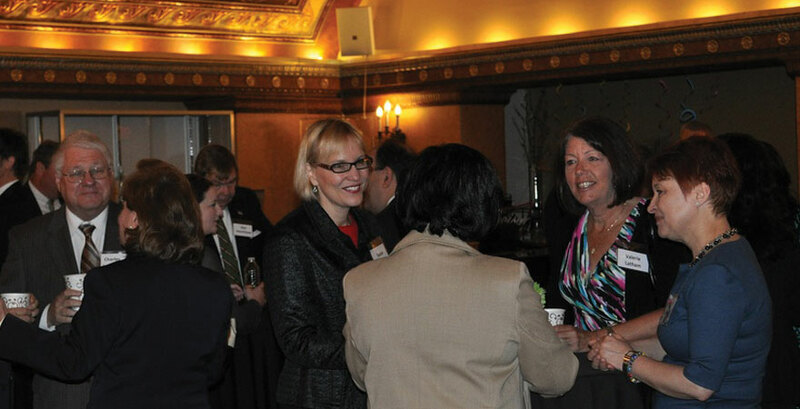 Join us for the opportunity to network and support arts organizations including State Theatre New Jersey at this year’s Partners’ Breakfast on Wednesday, July 27, 2016! The Partners’ Breakfast is proudly sponsored by RBC Wealth Management.